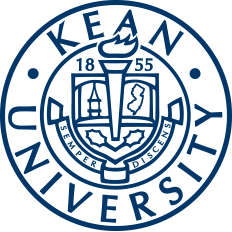 The Holocaust Resource Center is located in the Nancy Thompson Learning Commons at Kean University. In commemoration of the 80th Anniversary of Kristallnacht, the Holocaust Resource Center will be hosting an event with a special guest speaker who was a child survivor of the Holocaust. This event will be held Monday, Nov. 5 in the North Avenue Academic Building (NAAB) auditorium from 3:15 to 4:30 p.m.
Kristallnacht, also known as the Night of Broken Glass, is an event in history that began the unofficial start of the Holocaust within Europe in 1938. On Nov. 9, 1938, Nazis and their sympathizers stormed Jewish owned businesses and vandalized the properties because they were Jewish owned. This then follows the segregation of Jews in 1930's Nazi Germany. Jewish people and businesses had to be marked with the Star of David as a way to separate themselves from everyone else. Albert Hepner talks on his childhood experiences in Nazi-occupied Europe. This event will focus on honoring this historic and tragic event with guest speaker Albert Hepner. 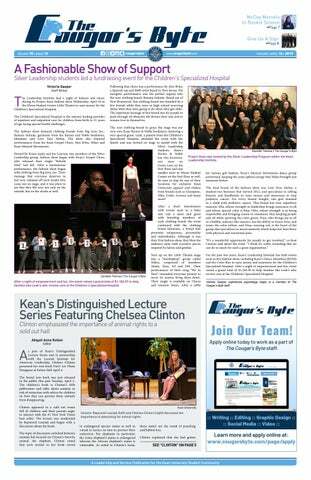 Hepner is a child survivor of the Holocaust and works as an ESL instructor at Kean. His memoir "Avrumele: Recollections of a Hidden Child" chronicles his first-person account of being a hidden child throughout the hunt for Jews in Brussels during World War II. As a child, Hepner lost his father and was separated from his mother during the war, leaving him to stay with his cousin. Hepner came to the United States with his mother after the war and joined the U.S. Army. After his service, he built a successful tool distribution business. When his business sold, he began teaching ESL to students in 1989. From his experience working as an educator, he began to do public speaking with talks on his childhood experiences that inspired his book. The book from Albert Hepner, chronicles his life moving from temporary home to the next, hiding from the Nazis. The event happening Monday, Nov. 5 in the NAAB auditorium, will be in commemoration of the tragic Kristallnacht. It will speak about that night and guest speaker Hepner will provide a unique insight because of his life experience of living as a Jewish citizen in Nazi occupied Europe. Students who attend this event will receive Co-Curricular Transcript credits on Cougar Link. The Holocaust Resource Center is an organization that operates in conjunction with the Holocaust Resource Foundation and works closely with the Human Rights Institute. The Holocaust Resource Center was founded in 1982 by a group of Holocaust survivors who rebuilt their lives in Elizabeth, NJ. The resource center offers free graduate courses to teachers on learning how to teach the Holocaust and how to teach prejudice reduction. It has launched an oral history program delivering hours of first-person accounts from survivors. The resource center is dedicated to fostering and reinforcing awareness of the Holocaust among students, teachers and community members. Also produced by the Holocaust Resource Center is "Who Owns French Jewish History? The Strange Story of Zosa Szajkowski, Archive Salvager, Historian and Thief", a presentation by Professor Lisa Moses Leff. This event will take place Tuesday, Nov. 27 at 7 p.m. in the New Jersey Center for Science, Technology and Mathematics (STEM) Building Auditorium. This event is based on Professor Leff's book "The Archive Thief: The Man who Salvaged French Jewish History in the Wake of the Holocaust", which was a finalist for the 2015 National Jewish Book award and recipient of the 2016 Sami Rohr Prize for Jewish Literature. Wednesday Nov. 7, 12:30 p.m. in the Gateway Building (#101) on Kean Ocean campus, the Holocaust Resource Center will be co-presenting an event with Ocean County College. This event will also be dedicated to remembering Kristallnacht and the voyage of the SS St. Louis. In May of 1939, the SS St. Louis, with 937 Jewish refugees aboard, was denied entry by Cuba and the United States and sent back to Europe, where around 250 passengers were killed in the Holocaust. Following a brief overview by executive director of the NJCHE, Larry Glaser, keynote guest speaker and youngest living survivor of the voyage of the SS St. Louis, Eva Wiener will give a presentation and Q&A session with attendees. Admission into this event is open to the public for free. It is best to RSVP in advance for refreshments. For more information on the Holocaust Resource Center and updates on future events, visit its website.